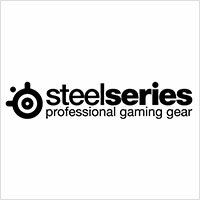 If you ask any gamer worth their salt what is the name of the company that offers the best, professional grade accessories for gaming, chances are that you will hear the name “SteelSeries” far more than any other company. Danish company SteelSeries has left quite a mark in the international scene of gaming. While they do not directly manufacture all their items, they do design them in their offices with a small and dedicated team of individuals. Additionally, they partner with industry leaders such as Activision-Blizzard and also seek the help of the gaming fraternity to build the best in class accessories for video gaming goodness. SteelSeries is the supplier for many eSports events as well as professional gaming league tourneys across the world. Their keyboards and mice are known to be top notch and able to deliver in the toughest of tourneys and come away with a win, because gamers love winning. The company is also quite subtle about its successes, preferring word of mouth publicity and goodwill to spread the message of its products. The company has four distinct product lines on offer – headsets, such as the Siberia Elite; mice like the Ikari Laser series; keyboards using Cherry MX keys like the 7G; and mice surfaces such as the QcK+. The headphones from SteelSeries are quite a handful, with many providing a 7.1 effect while putting on. The company firmly believes in authentic sound being delivered to the gamer, and as such do not want much in the way of muddled sound and artificial effects being added on to the game’s sound output. Thus music listening through SteelSeries is an extravagant experience in itself, with balanced sound streaming through top of the line drivers. Additionally, many SteelSeries headsets come with their own equalisers to ensure that you can tweak the sound to your heart’s content. Not much is known about this rather secretive-about-its-history company, except the fact that it was founded in 2001 by two individuals. These two had come up with a design of a very capable, high-end gaming surface made of glass that very soon became the backbone of the SteelSeries line up. Their vision was to build a company that would deliver the best quality gaming peripherals for the best gamers in the world. Eventually the company started partnering with several industry giants like Blizzard, Electronic Arts, Ubisoft, Valve Corporation and NCSoft. The company acquired Ideazon, a North American manufacturer of gaming peripherals and technology. The Siberia Elite was announced just a couple of weeks ago on the 22nd of August. Delivering virtual 7.1 audio, these are one of the most powerful headsets in the world today. 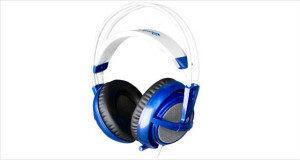 The headphones feature a built in equaliser, 16.8 million color LEDs that light up the headphones from outside, large memory foam cushions and the signature Sibera self-adjustment system to provide infinite comfort over prolonged use. The SteelSeries Engine 3 will be powering the memory and internal controls of the Siberia Elite, which will retail for an approximate MSRP of $199.99.